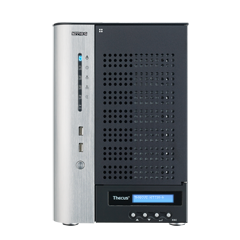 The latest additions to the Thecus line offer significant improvements in performance thanks to their high quality processor, the Intel® Pentium® G850 Dual Core CPU, and 10GbE technology.Along with a 75% faster (yet cooler running) processor, newly incorporated multimedia ports (HDMI and VGA), and the inclusion of USB 3.0 ports, the new N7710-G and N8810U-G also bring the wealth of the Thecus App Center to SMB businesses. With their power and connectivity, both units allow many users to enjoy the endless features of the growing list of over 90 official and third-party applications. But how does all of this help your organization? Let's take a closer look at the units' key capabilities. 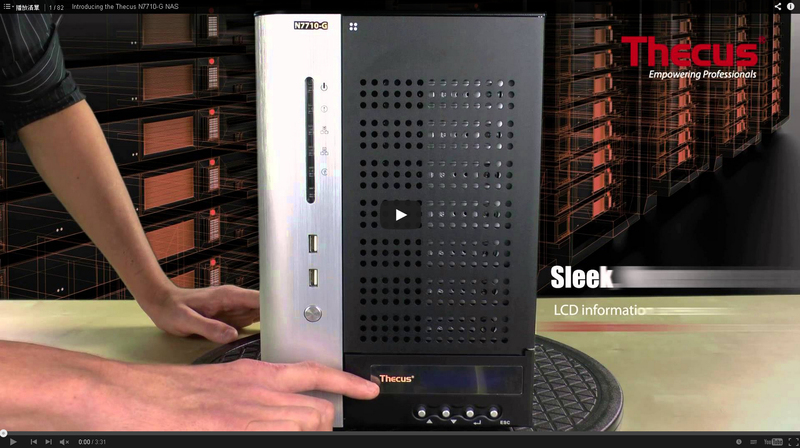 But what about external threats to your data? Thanks to free copies of Acronis True Image, your data can easily (and even automatically) be backed up to local and remote media all the while remaining spotless . 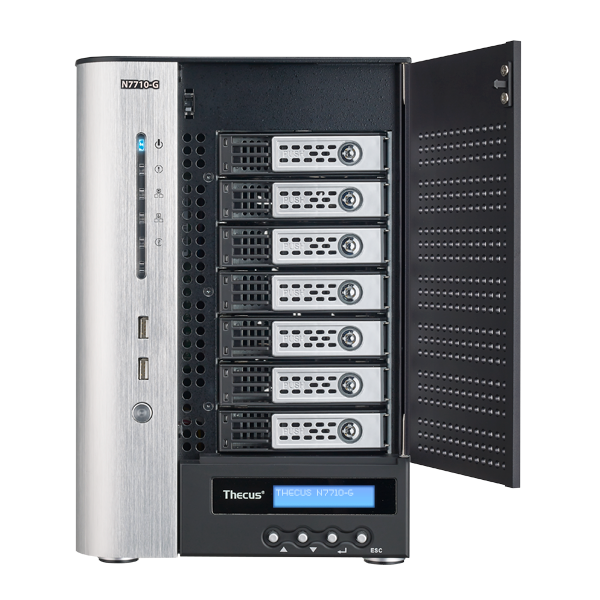 Also, Thecus's AES 256-bit RAID volume encryption tool allows users to fully encrypt their entire RAID volume, defending essential data even in instances of theft. Without knowing what tomorrow might hold, you want to be sure that no matter what your costs are low and your performance high. With the help of the User Quota feature and iSCSI Thin Provisioning, you can rest assured that your storage is shared efficiently amongst all users and that wastage is a thing of the past. 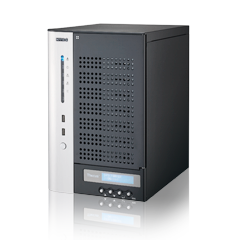 And with the N7710-G and N8810U-G's VMware V5.5 certification, you can rest assured that your NAS is compatible with the latest virtualization technology available. 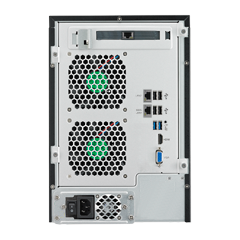 In fact, the 10GbE solution offered by the N7710-G and N8810U-G models makes them ready for the next step in network evolution straight out of the box. And with the addition of Data Guard for local and remote backup to other NAS, and Data Burn for permanent backup to CD, DVD, and even Blu-Ray discs, you can ensure that your data's ready for whatever the future can throw at it! The latest addition to the Thecus SMB line offers significant improvements in performance over its predecessor thanks to the update to an Intel® Pentium® G850 Dual Core CPU as well as the now standard inclusion of 10GbE technology and ECC RAM. Along with this 75% faster (yet cooler running) processor, newly incorporated multimedia features (both HDMI and VGA), and the inclusion of USB 3.0 ports, the new N7710-G also brings the wealth of the Thecus App Center (with over 180 specialized apps) and the versatility of VMware ESXi 5.5 to SMB businesses. 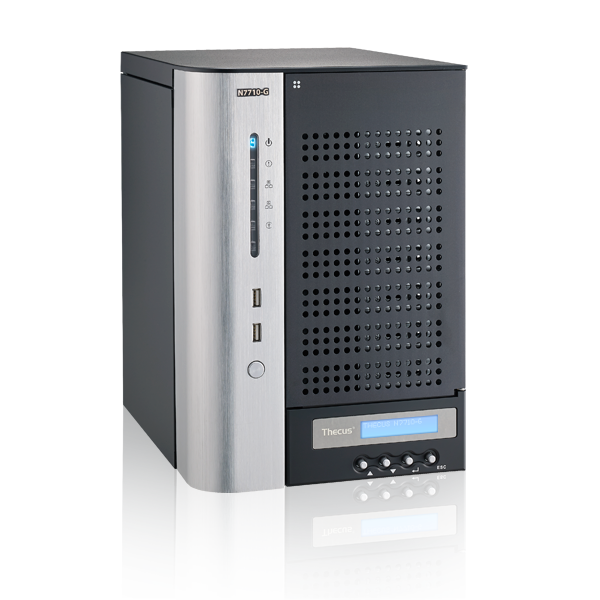 With its performance and connectivity, this new 7-bay tower empowers all users to enjoy the endless potential of network attached storage! 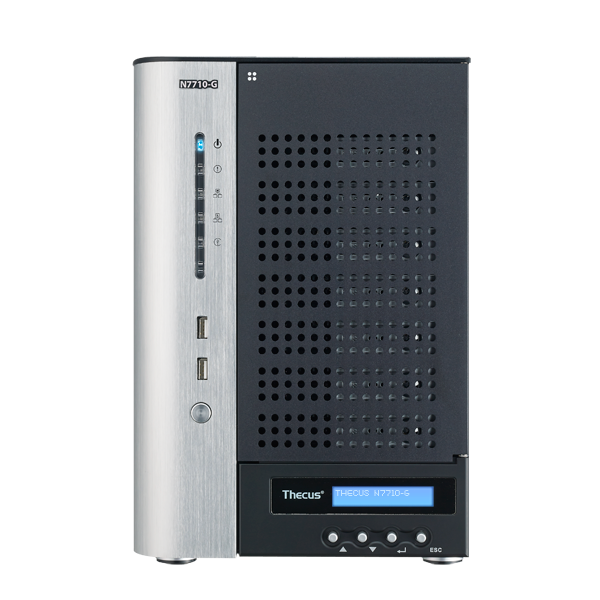 The latest additions to the Thecus line offer significant improvements in performance thanks to their high quality processor, the Intel® Pentium® G850 Dual Core CPU, and 10GbE technology.Along with a 75% faster (yet cooler running) processor, newly incorporated multimedia ports (HDMI and VGA), and the inclusion of USB 3.0 ports, the new N7710-G also bring the wealth of the Thecus App Center to SMB businesses. 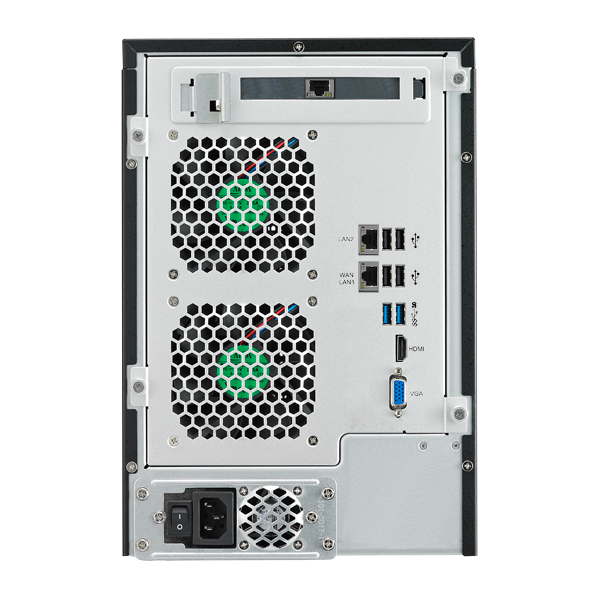 With their power and connectivity, both units allow many users to enjoy the endless features of the growing list of over 90 official and third-party applications.But how does all of this help your organization? Let's take a closer look at the units' key capabilities.